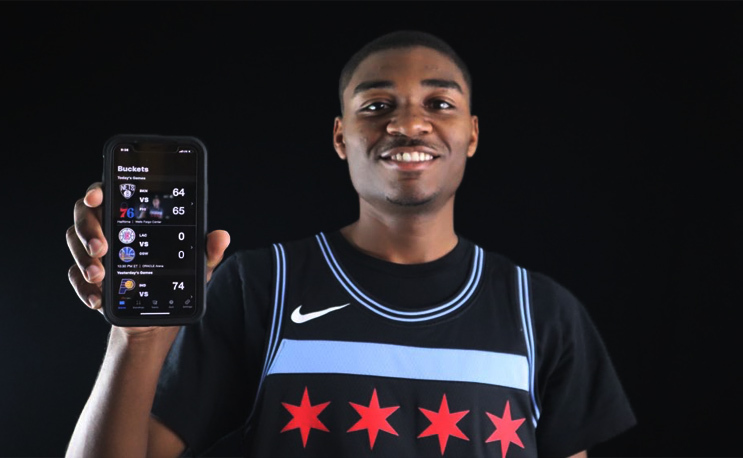 A Chicago kid drawn to an HBCU by its family atmosphere decided to create an app that allowed NBA fans to keep up with the game. Romell Bolton wanted to use his computer science skills to do something besides homework. So the North Carolina A&T junior decided to develop an app, one that he and his friends could use and that he was passionate about. Four months later, just in time for the NBA Playoffs, Buckets: Basketball Data app is now in the Apple Store. He intially wanted to do an app during football season, but when it didn’t happen he didn’t give up. Like any good app, the Buckets app solves a problem that Bolton felt needed to be addressed. He says many apps make following the basic info for most fans too complicated and not interactive enough. Bolton says his app is a clean and more concise solution to providing more reliable scores, stats and standings. It also integrates social media and a quiz section which allows users to test their knowledge. The Chicago native’s path to Greensboro was an intentional one. He said he felt drawn to the HBCU lifestyle, despite being far away from the majority of them. A college tour took Bolton to several HBCUs, and on the third day it stopped in Greensboro. He mentioned the kindness of his tour guides, along with food and free gear, that attracted him to the school. The strongest attraction, though, was the family atmosphere including both students and professors. One of those professors is Dr. Siobahn Day. The three-time HBCU graduate was recently a student herself as just last year she became the first African-American woman to receive a PhD. in Computer Science at A&T. Bolton says that gives her a different perspective that influences the way she teaches. Dr. Day speaks highly of Bolton as well, calling him a “shining star” in the department. That nurturing enviornment helped Bolton get the project done, and he says he’s not finished yet. The app is now available at the Apple store. Give it a download today. Aspiring journalist, sociologist, surgeon and more awarded scholarships via Beyonce's initiative.